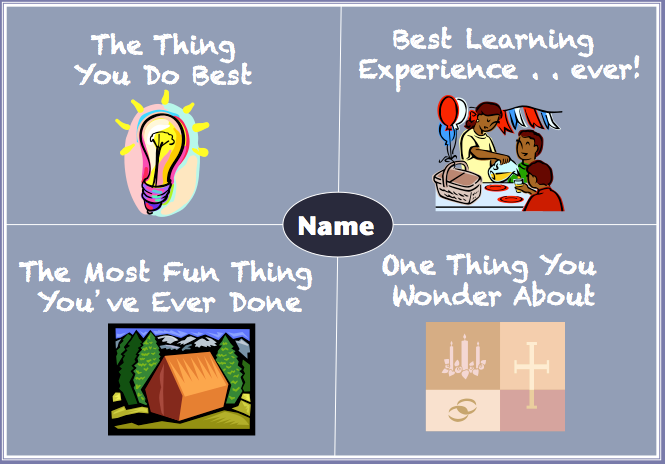 To provide a forum for learners to explore and identify their learning interests, strengths, and personal wonderment. To help learners get to know one another. To provide educators with diagnostic information about each of their learners. Technology-Based: Google Presentation doc shared so each learner can each have a slide; Internet access to find images and/or mobile devices so learners can take images. The following slide can be used as a template. 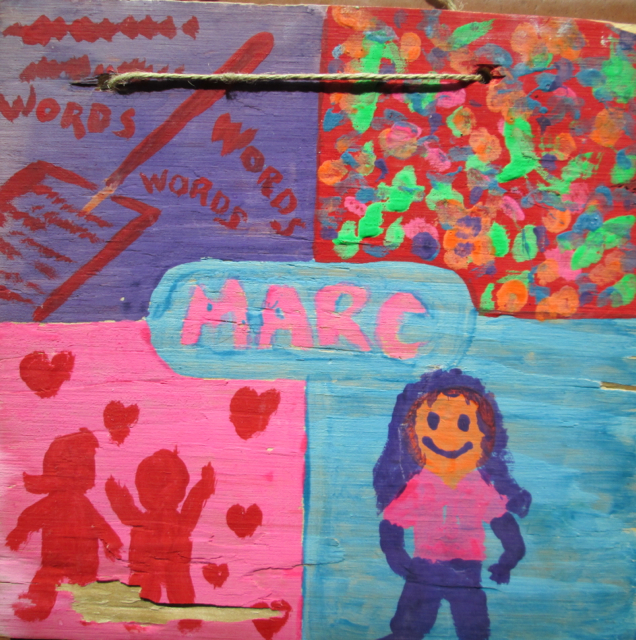 For the hands-on version, provide learners with poster board or plywood and paints/brushes. Second grader, Jeff believes he is best at computers and finds computers to be his best learning experience. Playing with friends is his most fun thing and he wonders about sunsets. Learners can use a Google Spreadsheet to record information about each peer’s Four Quadrant poster.